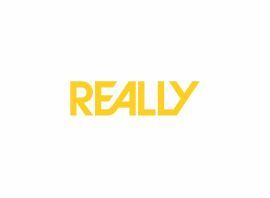 Really is a digital television channel broadcasting in the United Kingdom as part of the UKTV family of channels. The channel launched on 19 May 2009 as the UKTV´s channel for female lifestyle programming and is available on satellite through Sky, cable services through Virgin Media also on digital terrestrial provider Freeview. The channel was launched on 19 May 2009 as part of the major rebranding and repositioning of the UKTV network. The new channel was created to provide female programming on the UKTV network, by airing programming previously aired on UKTV Style. As part of the repositioning of UKTV Style to Home, this channel would focus primarily on home and garden programming. As part of this, UKTV Gardens was closed, with programmes merged with Home. The new channel Really would launch from UKTV Gardens´ broadcast slot and would replace the channel on that service. Responsible for launching Really would be the channel head: Clare Laycock since July 2008. Really´s identity originally centred on a pop art style cartoon of women in various situations which as the ident goes on resolves itself into an unusual outcome. At this outcome, the characters are shown with speech bubbles containing the Really logo, which then forms into the centre of the screen. The majority of Really´s programmes come from the programme archives of the BBC, through their part ownership of the UKTV network. Due to a similar remit between the two channels, Really re-broadcasts many programmes previously shown on the channel BBC Three, and a few from BBC One and Channel 4. The channel also has UK exclusive airings of the US shows Hart of Dixie and Covert Affairs.